French words for Theme from 'Separation'? 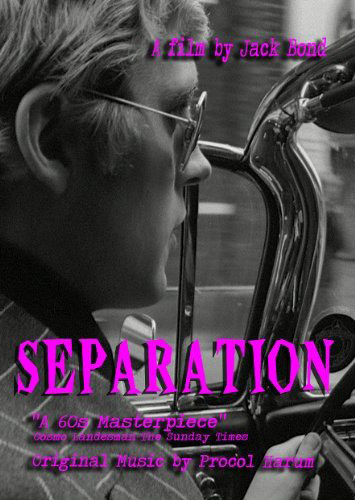 The DVD of Separation has been released in the US, and there are a few differences in presentation from the UK version: "Original Music by Procol Harum" is printed on the front cover (which has a different photo; the Jane Arden photo of the UK cover is on the small inside booklet) and Myers, Fisher and Procol Harum are mentioned on the back cover as well. On the UK package, only Procol Harum is mentioned, and on the back cover. There's no extensive booklet of film analysis as on the UK edition, but the Special Features include VIDEO of Jack Bond presenting his commentary (with the film a small square in the corner), and 1967 TV interview footage of Bond! I got a real kick out of seeing the Two Jacks separated by over forty years.